It is a social networking project that determined to unite bikers all together. 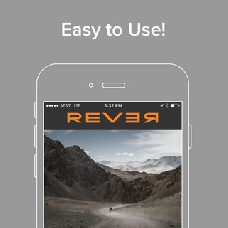 Rever gives you the possibility to create your own challenges or accomplish others while joining any group. As socials, you can share the ride you’ve done with your friends via the most popular resources. The free account gives you free will to plan on the greatest journey you deserve! Once you accept and accomplish challenges, you have a chance to be seen on the leaderboard and make other inspired by your example.